Latest Update: DELSU Post UTME Result is out 2018/2019. 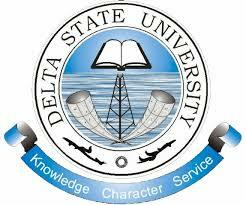 The management of the Delta State University (DELSU) is now selling its post UTME form for the 2018/2019 academic session. DELSU post UTME form is now available online. How to Apply for DELSU Post UTME. (a) Candidates should with the PIN for payment access and complete the Delta State University, Abraka, 2018 screening form online at delsuonline.com with their recent coloured passport sized photograph scanned to the JPEG format and not more than 20kb in size. Can I get admission in to the school without the screening examination? Comment Text*@Jessy, your screening score is your aggregate score. Comment Text* i heard that what you see in your screening score is your aggregate score. Pls how do I get d venue,seat number,time nd date?